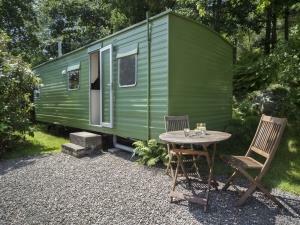 Retro Caravan at Manesty017687 77216work Individual CaravanOur static caravan is nestled at the edge of a small wood in the beautiful valley of Borrowdale in the heart of the English Lake District. It's a cool and affordable glamping style holiday in a stunning countryside setting. It's particularly great value for week long stays.